This long, narrow series of parks steps diagonally down a San Francisco hillside through formerly vacant lots. The greenway includes a plaza, community garden, two greenhouses, playground, native plant garden, agricultural lot, herb garden, and a barbecue pit. As recently as a decade ago the neighborhood was desperately short of open space. 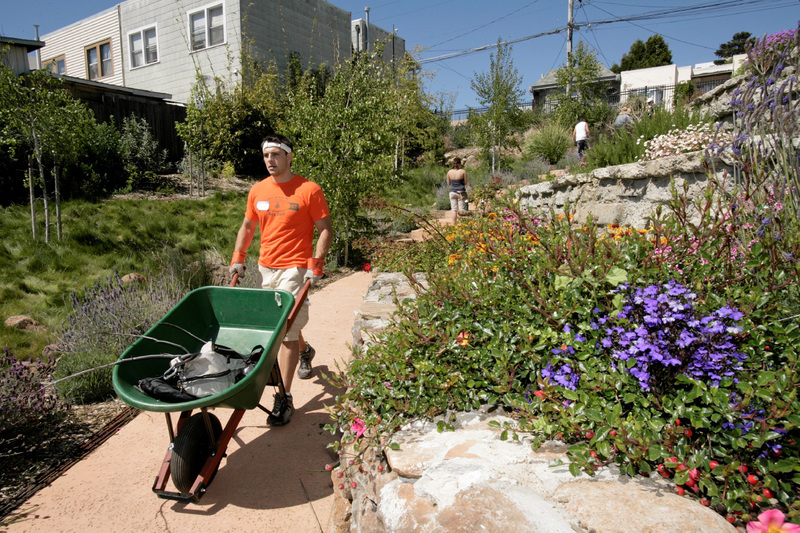 TPL worked with two city agencies to acquire the land for the greenway; designed and built the Hans Schiller Plaza, the park entryway; and in 2008, redesigned the community garden on the final lot to increase the number and accessibility of gardening plots.